The inner region sends out clock-like pulses of radiation and waves of charged particles embedded in magnetic fields. 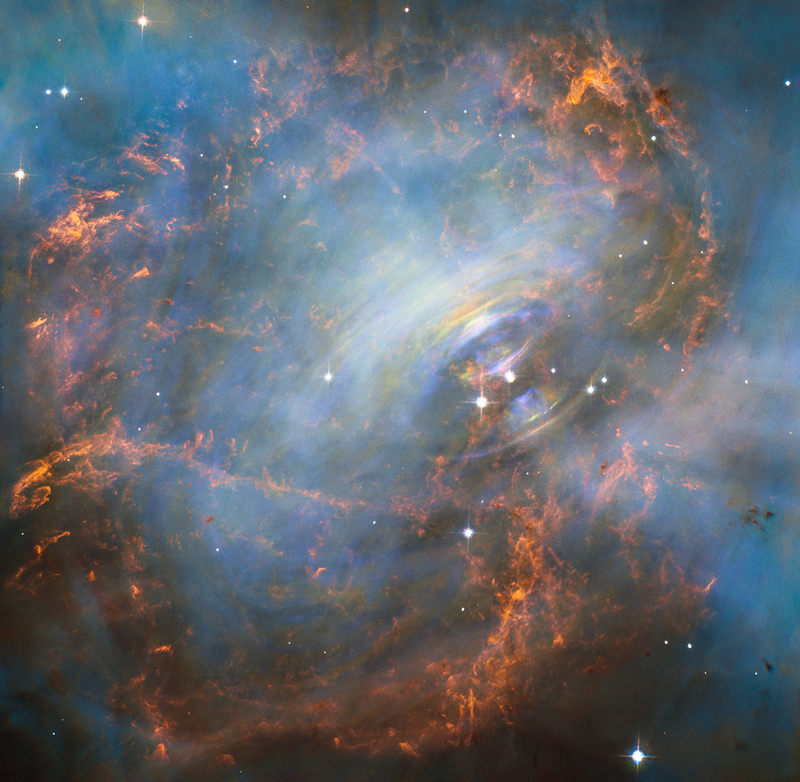 NASA’s Hubble Space Telescope took snapshots of the neutron star located at the center of the Crab Nebula. The image shows the heart of the star, which sends out clock-like pulses of radiation and waves of particles embedded in magnetic fields. The star at the center is about the same mass as the sun, but is compressed into a dense sphere. It spins 30 times per second which makes it release detectable beams of energy, making it look like it’s pulsating. The telescope captured vivid details of glowing gas that forms swirls of cavities and filaments. It also shows a ghostly blue glow caused by the radiation from the electrons spiraling at nearly the speed of light. Bright wisps are also moving away from the star which forms an expanding ring. The nebula is bright enough to be seen using ordinary telescopes and is located 6,500 light-years away, in the constellation Taurus.